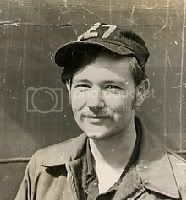 ETCS (SS) WIlliam Smith III served on the blue crew from 1968-1972. I received word that he departed on eternal patrol in July 2006. Is this the same Senior Chief Smith that was on the Blue Crew in the early 80's? No, this guy had been onboard in the early 70's. I believe this may be the same guy. The ETCS Smith that served in the early 80's told me that he had served on the Madison at an earlier time. He knew things about the history of the boat and the nav center.